Recently, one of my favorite apps, iDoceo, updated to version 4. Since my iPad updates automatically, this new look took me by surprise. I found out that I was in good company as during that day, I read other music educators commenting the same thing on social media. What is new in iDoceo 4? The look. It will take a few days to get used to this new look. Price: The price is now $9.99 for the app. If you are debating on whether or not you should purchase the app, I would suggest paying the $9.99 for the app. It is worth every penny. 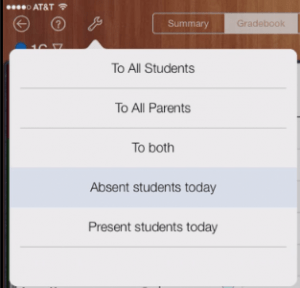 Navigation between classes: You no longer have to go back to the home screen in order to change to another class. You can now click on the class name at the top left-hand corner of the screen and scroll down to the class you would like to appear on the screen. Change the theme for each class: In the older version, the background defaulted to one color or pattern. 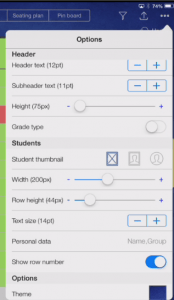 In the “Gradebook” tab, you can click on the “…” (in the upper right-hand corner) and you can change such items as header, students’ thumbnails, and the background. Tip: I am changing the background for each class as well as having the students’ pictures now appear in the Gradebook as well as the Seating plan. Attendance Column: When you click the + button at the right of the columns (so that you can create a new column, an attendance column, add calculation, add favorite columns, or move, copy, or freeze columns), and click on Attendance, it will default to an “Extra Quick Attendance Check.” This means that you can quickly click a check for those who are present, a red x for those who are absent, and a sand timer for those who are late. Tabs: At the top of the screen, new tabs appear. “Summary” gives you an overlook of the class attendance, resources, a stopwatch, the random picker, and grade distributions. Click on the “Widgets” button and you can add more widgets to your summary such as, timer, passing students, upcoming birthdays, famous birthdays, today and tomorrow’s events, and pending notes. “Gradebook” is the screen you would normally see in the older versions where it shows each student’s name, columns, and information. Tip: Random picker has been added to the Gradebook screen. Click and hold students’ roster header and the dice for the random picker appears at the end of the row. “Diary” is your planbook which can coordinate with your online calendars. “Notes” for you to write or type notes. “Seating plan” is the seating charts from the older versions. The seating plan allows you to create five seating charts for one class. “Pinboard” is where you can pin items like resources, notes,andurls. In the seating plan tab, click on the student’s name and a new menu will appear. Click on “Take picture” and your iPad’s camera will activate. Take a picture of the student and save the picture. To create seating charts, click and hold on a student’s picture and move it around the screen. 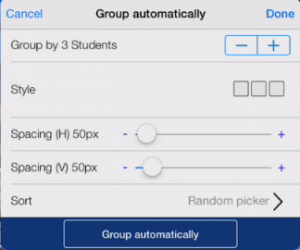 Use “Random picker” to randomly choose students. Email in bulk: If you click on the tools icon, scroll down to the email icon and click on it, you will see options for email. One option is to email to students that were absent today. Tip: If you have email addresses in the students’ or parents’ data, you can easily email them with an activity description on the days that they are absent. icon, scroll down to Students, click on Group, click the students you would like to group together, label the group, and click OK. Still works on my iPad 2 so I can use it for this app only and can record a lot of audio and video assessments since I am not using the iPad for other items. The audio and video files can take up a lot of space. 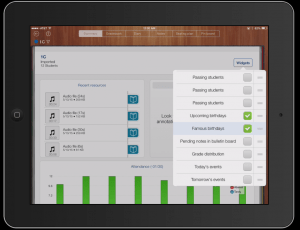 Wish list: That iDoceo and Planbook.com joined together to make an app that has a planner that can handle rotating schedule, standards, lesson plans, assessments, etc, all in one app that can be shared with admin easily and quickly. 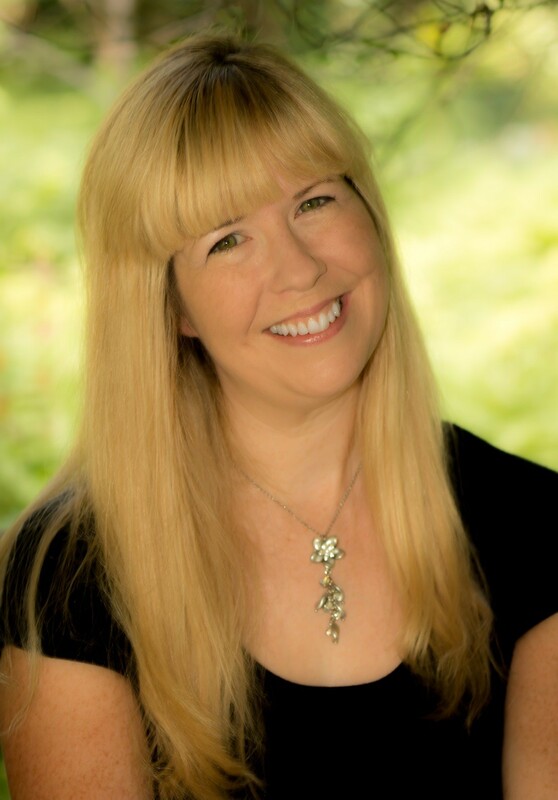 iDoceo can do so much more, especially with specific grading systems, calculating averages, etc. If you are using iDoceo, how do you like the new look? If you have not used iDoceo and would like to know more about it, check out their website, http://www.idoceo.net/.